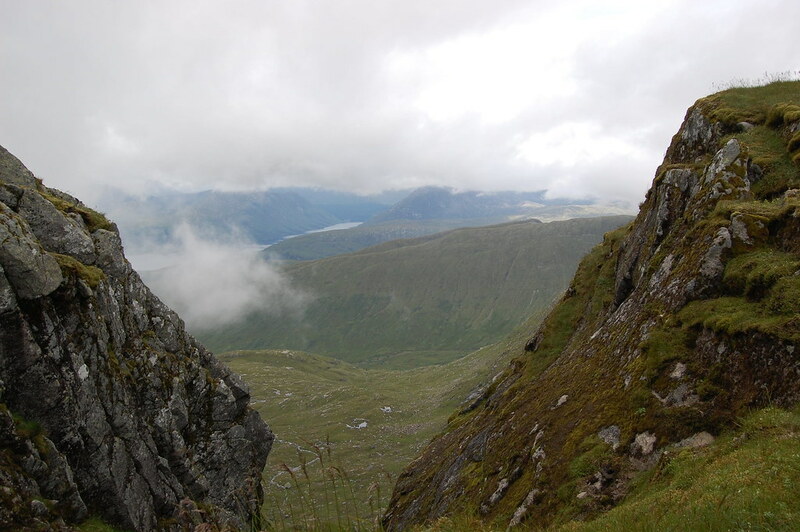 On Saturday 18th July 2009, I headed off to climb in the Arrochar Alps but they were covered in clouds, so kept going through Inveraray and ended up at the Ben Cruachan range. I met a young man and his Sergeant Major dad at the layby where everyone parks, beside the train station. 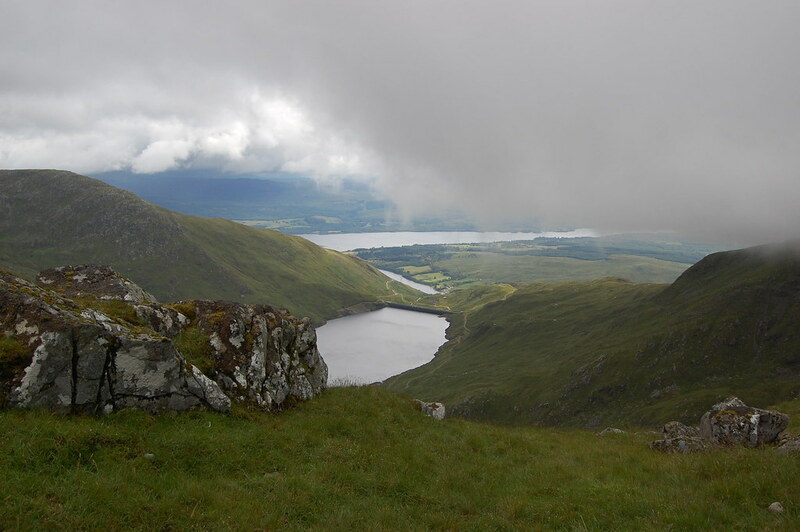 We slogged it up the vally by the Falls of Cruachan up to the Dam Wall at 401m (1315 feet). 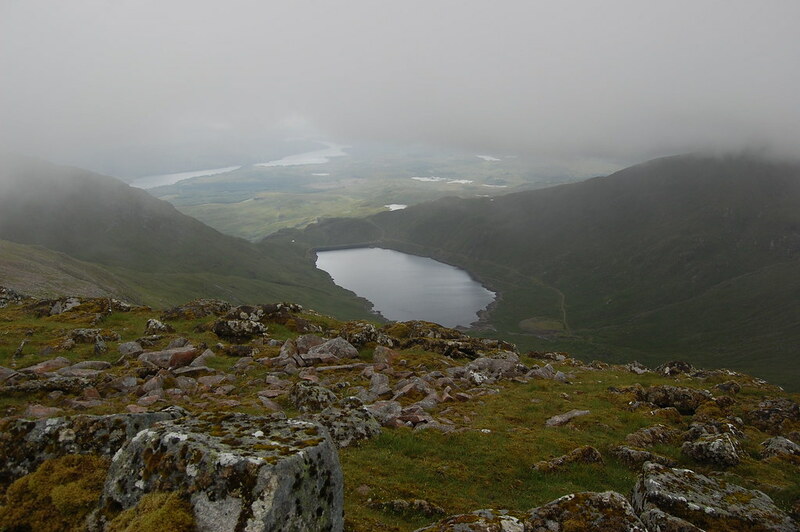 At this stage, due to the low cloud level we attached the Cruachan Horseshoe in the anticlockwise direction. 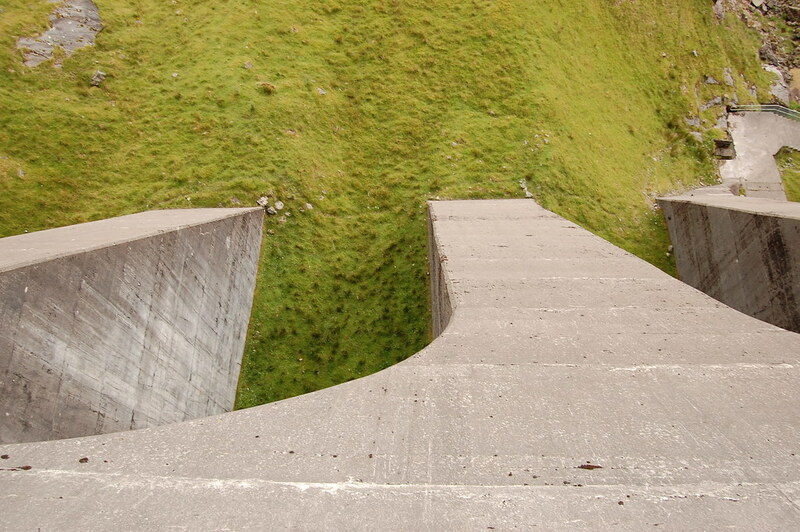 We crossed over the dam wall and started climbing up to Stob Garbh (960m). We reached this some 3 hours after leaving the car park. 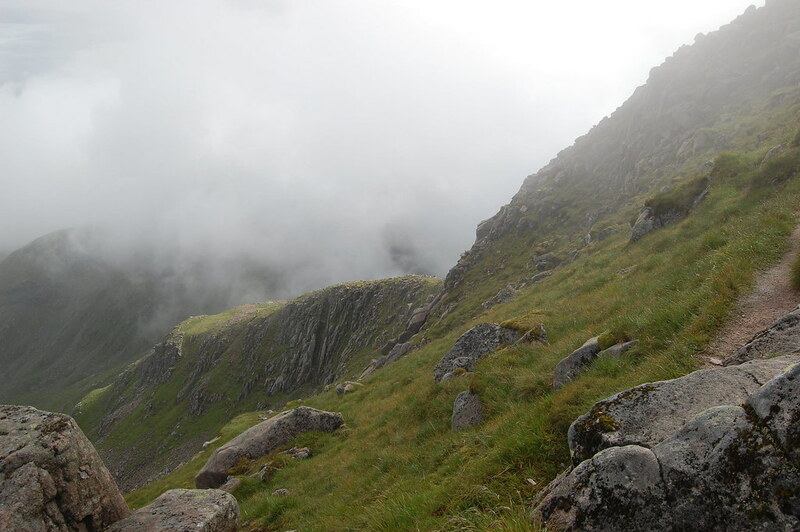 The son decided to head back at this point, so me and the Sergeant Major headed the short distance to the munro Stob Diamh (998m 3274 feet). 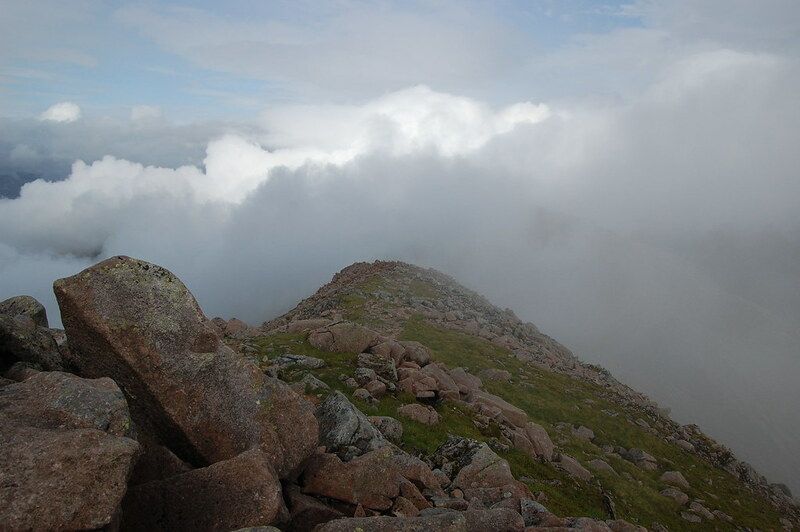 The gods shone on us and the clouds departed allowing some snaps from the summit. 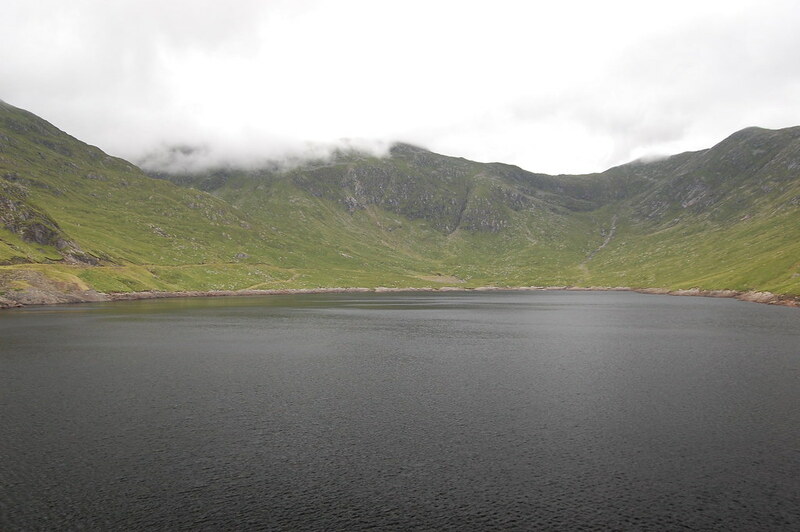 Then it was down onto the ridge to cross to Ben Cruachan (1126m, 3689 feet) and down the valley back to the reservour to walk along to the dam. Like Chris said good to have the video to show you the route taken - is it possible to cycle from the road to the dam? Or is that bit so short it's not worth it? 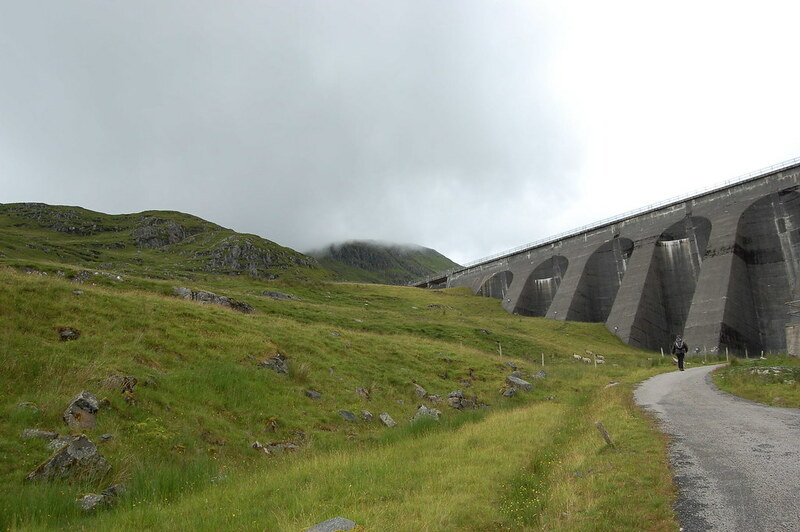 skuk007 wrote: Like Chris said good to have the video to show you the route taken - is it possible to cycle from the road to the dam? 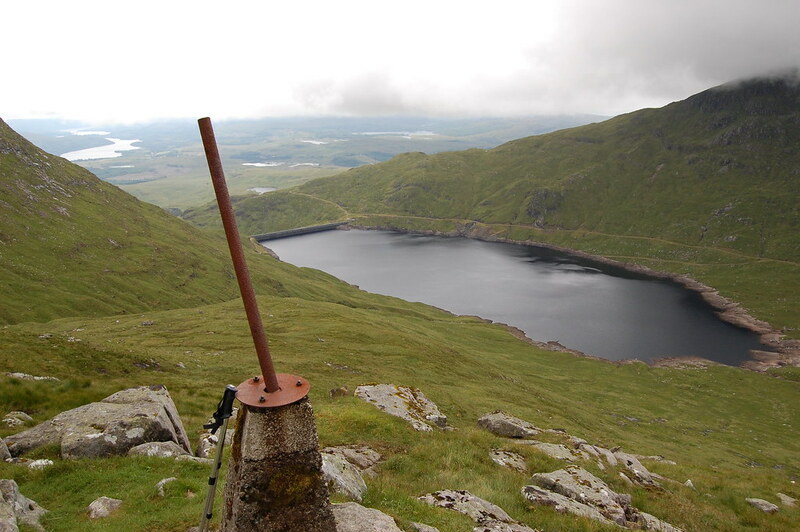 The bit up to the dam is a great walk in its own right. You can follow a road up to the dam if you want to cycle.